Morality in context is a timely topic. A debate between philosophers and social scientists is a good way to approach it. 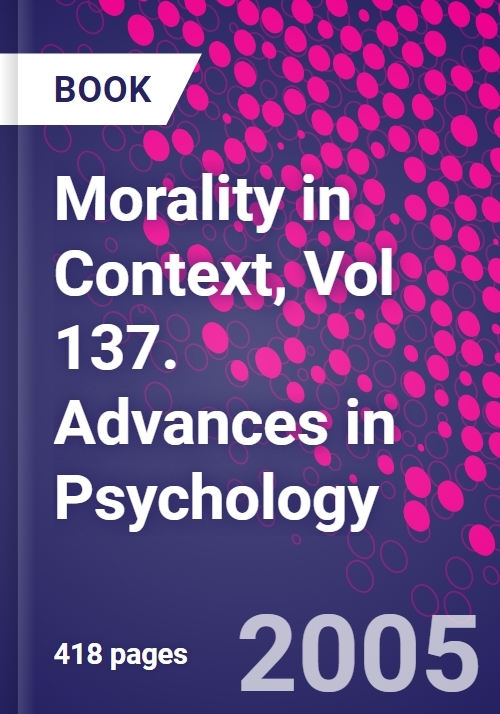 Why is there such a booming interest in morality and why does it focus on context? One starting point is the change in the sociostructural and sociocultural conditions of modern societies. This involves change in the empirical conditions of moral action and in the social demand on morality. As these changes are accounted for and analyzed in the social sciences, new perspectives emerge that give rise to new ways of framing issues and problems. These problems are best addressed by way of cooperation between philosophers and social scientists. As Habermas (1990) has pointed out in a much cited paper, philosophers depend on social science to fill in the data they require to answer the questions raised by philosophy in its "placeholder" function. The reverse also holds true: Social science needs the conceptual clarifications that philosophy can provide. With respect to morality, such mutual interchanges are of particular importance the contributions to this book show convincingly. List of Contributors. Introduction. (G. Nunner-Winkler, W. Edelstein). I. Constitutive Aspects of Morality (Philosophical Issues Defining the Moral Domain). to Joan Miller's Research on Differing Moralities in India and the United States. (L. Krappmann). Reasoning About Moral Obligations and Interpersonal Responsibilities in Different Cultural Contexts. (M. Keller et al). IV. Morality, Autonomy, Identity. Partiality and Identity-Psychological Research on Preferential Behavior Toward Group Members. (M. Nisan). Culture, Context, and the Psychological Sources of Human Rights Concepts. (L. Nucci). To Forgive and Forget. (A. Margalit).